Drumming the #BeContextAware beat !! E27 is a leading startup ecosystem publisher in Asia. Semusi made the short list to showcase our technology at Echelon 2014 in Singapore. Had a great day - talking to many mobile developers who were intrigued and excited about the new ways to develop exciting engaging context aware apps. 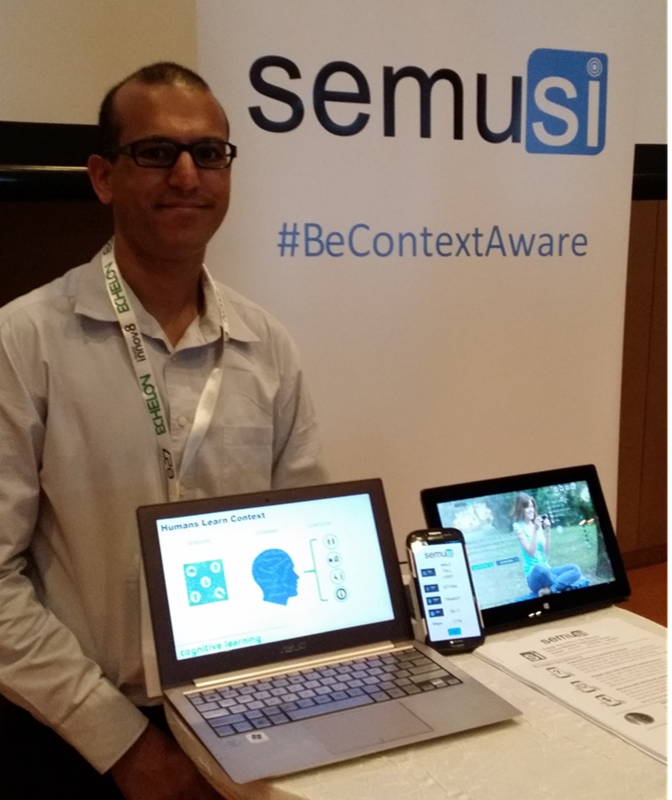 We demoed Semusi API's, samples apps, customer apps and our Semusi Smart Targeting beta.